The man in charge of fraud-busting at internet auction company eBay is under no illusion as to the scale of the challenge. "There will always be the dodgy guy in the trench coat," concedes Garreth Griffiths, head of Trust and Safety for eBay in the UK and Ireland. "This is one area where there will be fraud, just like any other market place" he admits. Even though a very small percentage of eBay trades proved fraudulent - the company reckons it around 0.01% - they attract the publicity that threatens to undermine customer confidence. Critics accuse eBay of an irresponsible "laissez-faire" approach that means they wash their hands of fraud until after the event. But Mr Griffiths claims that the criticism is unjustified. "Its rather like a council and a High Street," he explains. "We created the High Street. We don't own the shops, we're not the police, we do provide the infrastructure, we do have an immigration policy. But there's an element of responsibility for the people walking along the high street". What is your experience of eBay? 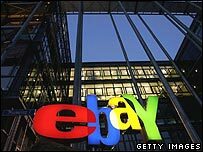 Mr Griffiths denies eBay is passing the buck on to the public, and says the company lives up to its responsibilities as well. EBay claims to work closely with the police, and employs an ex-Scotland Yard officer as a liaison point for law enforcement agencies. It recently established a service, VeRO, for trademark owners to report fake items. If a consumer company spots a counterfeit item for sale, eBay will remove the item. "We aren't the experts, they are the experts," Mr Griffiths explains. "Where they see fake goods, we'll automatically take it down. It's completely free." The transparency of the transactions should provide extra comfort. 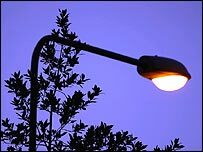 "EBay is a floodlit highway, it's there for anyone to see 24 hours a day, there are no dark alleys where you can hide," Mr Griffiths continued. The growth of the eBay.co.uk website, the British version of its auction system, has been astonishing. Launched in October 1999, the company says it hit the 15 million-customer milestone this month, with the site accounting for 10% of all the time spent by British people on the net. It says it is the most popular website in the UK, and that at any one time there are more than 3 million items for sale. But it is the everpresent conmen who pose a threat to the site's reputation. Perhaps the most high-profile was Welsh teenager Philip Shortman, jailed last year for defrauding more than 100 customers, to fund a high rolling lifestyle. Calling him an "open blatant fraudster, who taunted his victims", Mr Griffiths reckons there were lots of clues which should have alerted the public to the conman. "He was using zero-feedback accounts, brand new sites with no trading history," Mr Griffiths explained. "The payment method was key as well; he was using cheques which are difficult to trace." So how does Mr Griffiths avoid getting stung himself when he trades on eBay? He says the answer is to be streetwise. "Look at the trading record of the other party," he says. "If there's no information, I might contact the person and ask for a photograph and phone number. "I might say, I'm about to spend £500 on your laptop, tell me about it. If the answers are cagey, if he won't show the computer to me, I'll walk away." The ultimate sanction open to Mr Griffiths is to throw crooked traders off the site. A first offender might get a warning email. "If he does it again, we might suspend him for a month. If he persists we might end his account and call the police," Mr Griffiths said. Mr Griffiths hopes that his approach will increase the protection to customers, and root out the con artists. He's committed to reducing further the level of fraudulent sales on the site. "That percentage will go down," he pledges. But I got the impression that not even he believes eBay can ever be completely fraud-free.